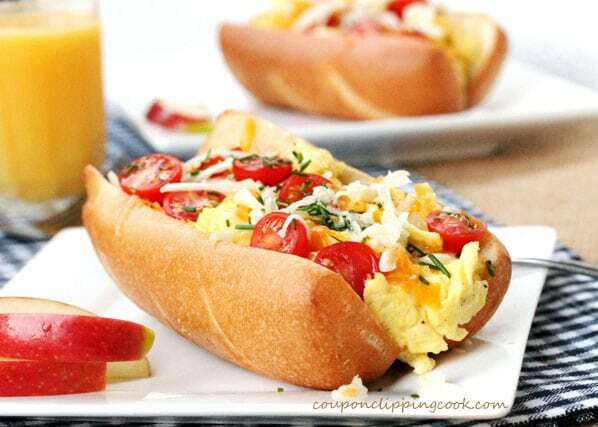 Get your day off to a delicious start with finger food for breakfast. 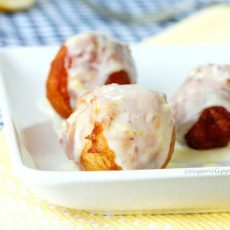 These easy recipes, some on the sweet side and some on the savory side, taste so good they’ll have you coming back for more! 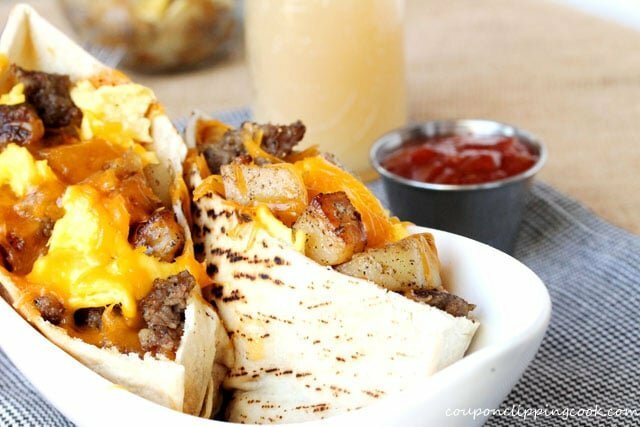 Nothing beats finger food and when it’s for breakfast, that’s even better. 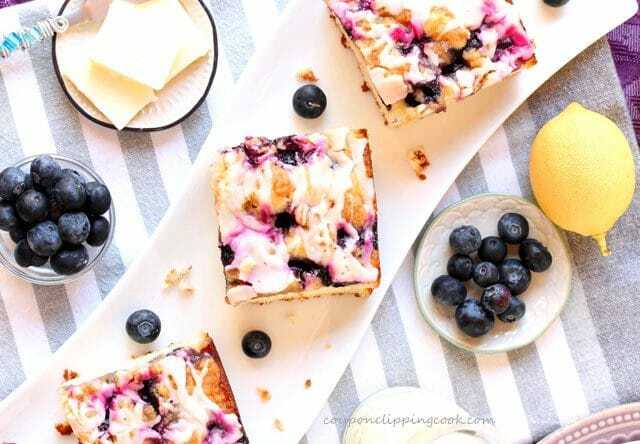 These easy-to-make recipes not only look appetizing but also taste wonderful and no need to set the table with silverware, just grab a napkin and dig right in with your fingers. 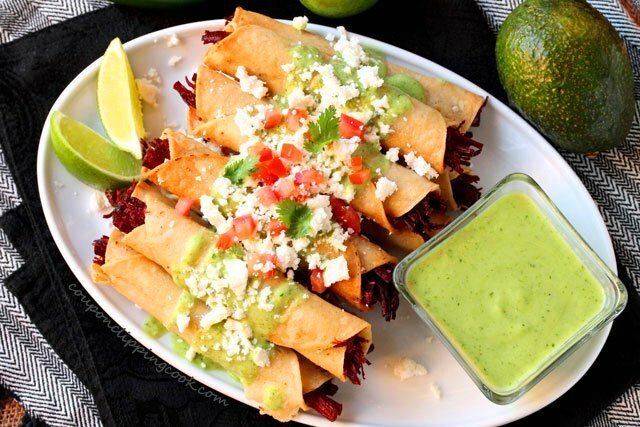 You may see an image or two that has utensils in the background but that’s just for show in front of the camera. 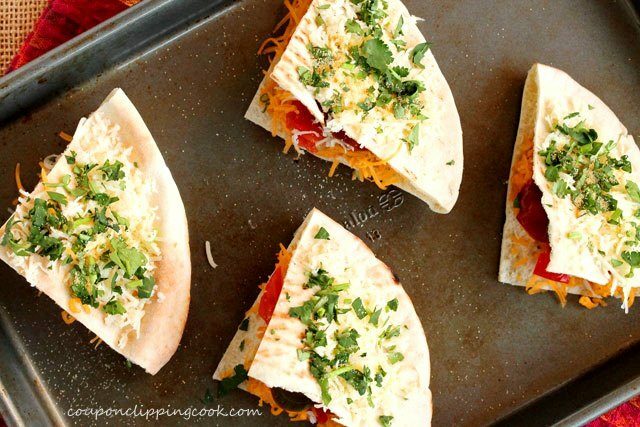 Behind the scenes it’s finger food all the way! 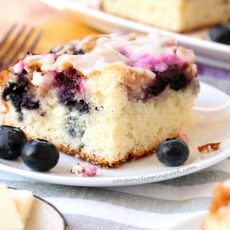 Let’s start by checking out the breakfast finger food that’s on the sweet side. 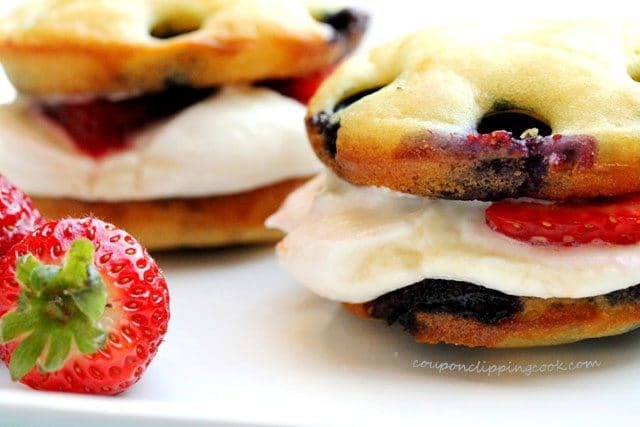 Now you can eat pancakes with your fingers! 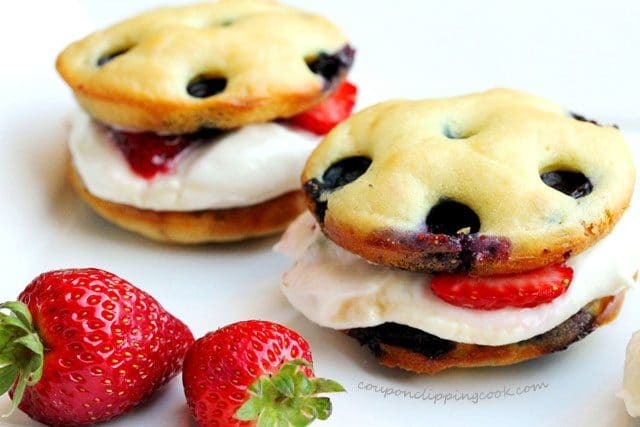 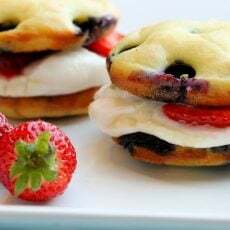 These cute pancake sandwiches have a glorious ricotta cheese filling with fresh strawberries, and the sandwich “bread” (pancakes) has blueberries inside and out. 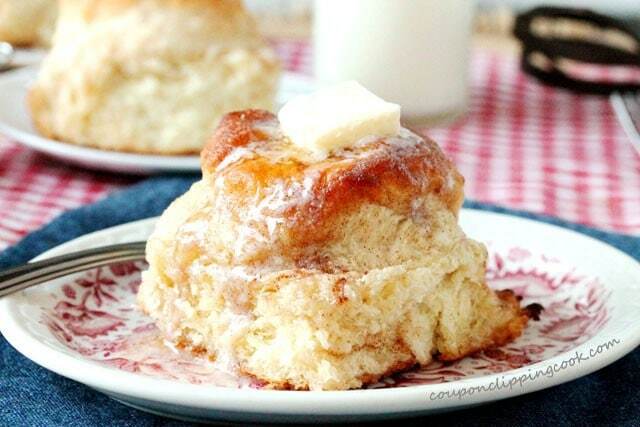 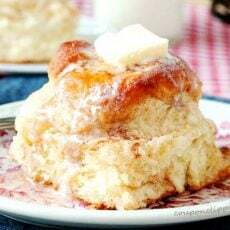 Sticky fingers are in order with these irresistible soft pull-apart skillet biscuits that taste like snickerdoodle cookies. 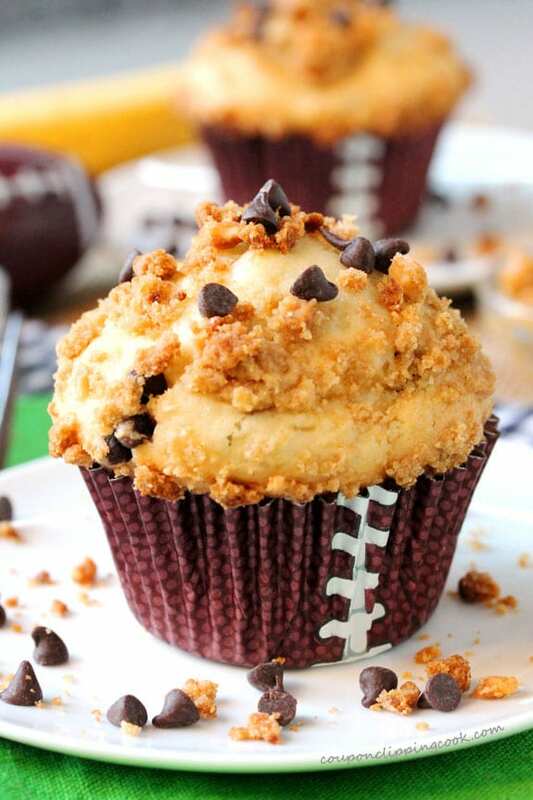 Banana, chocolate and peanut butter all in one delicious muffin. 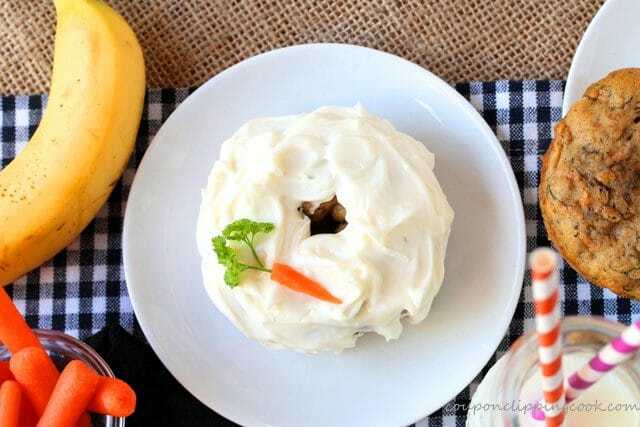 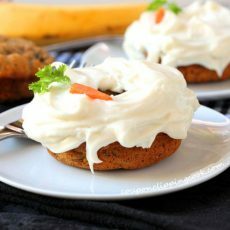 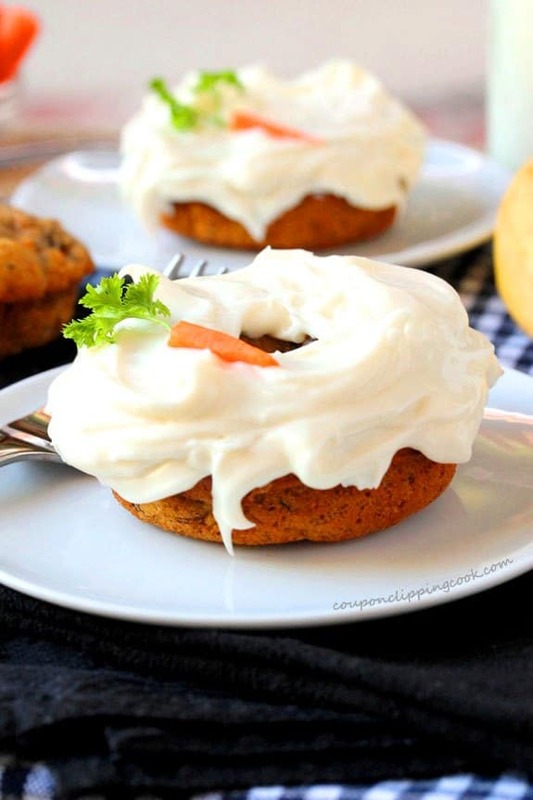 Eating carrots for breakfast tastes even better with cream cheese frosting on top. 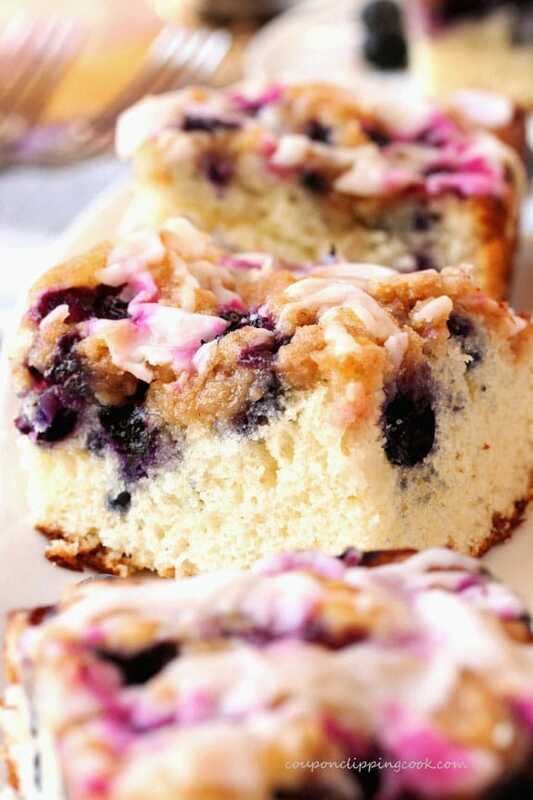 Coffee cake, blueberries and lemon in every bite. 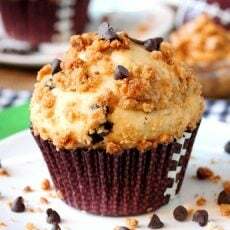 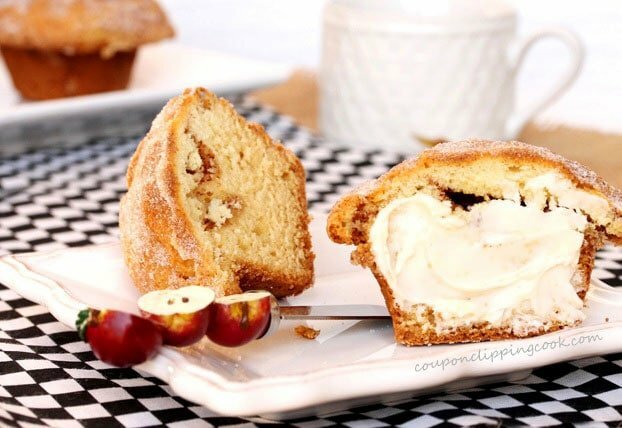 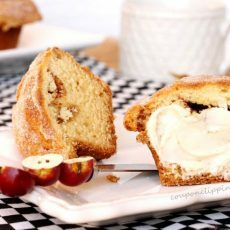 There’s a crispy cinnamon and sugar crunch on the top and a layer of cinnamon and sugar in the middle of these scrumptious muffins. 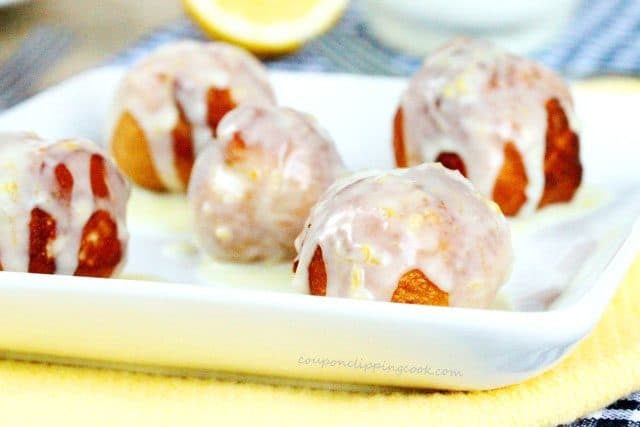 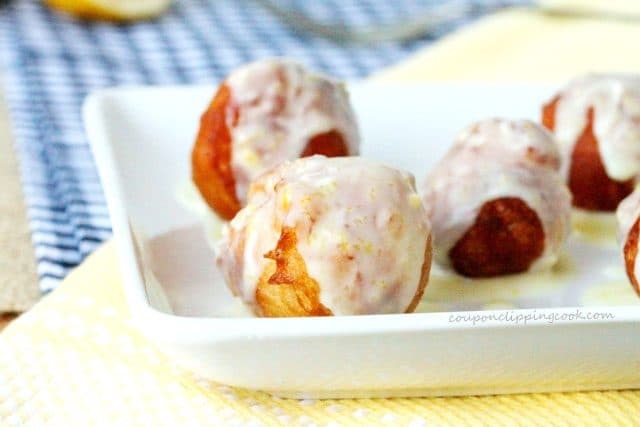 These incredibly easy doughnut balls are made with a tube of premade biscuits and topped with a tart lemon glaze that’s made from 2 ingredients (one super sweet and the other super sour). 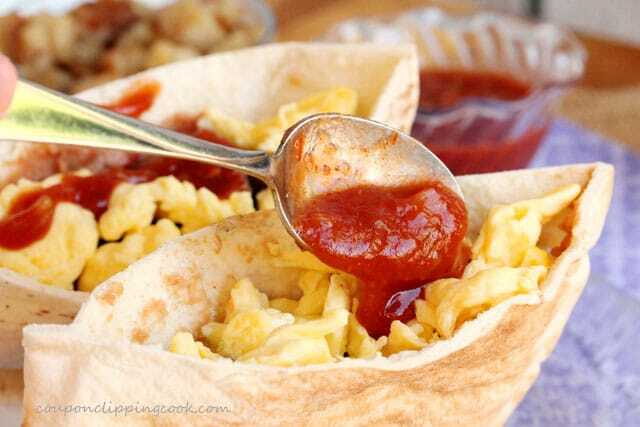 Next, let’s check out the breakfast finger food that’s on the savory side. 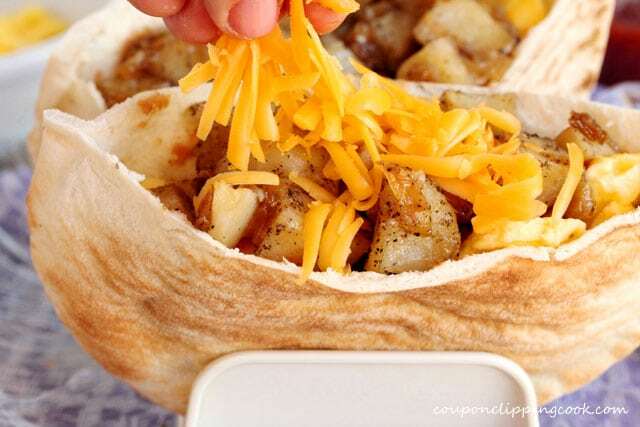 …cheddar cheese. 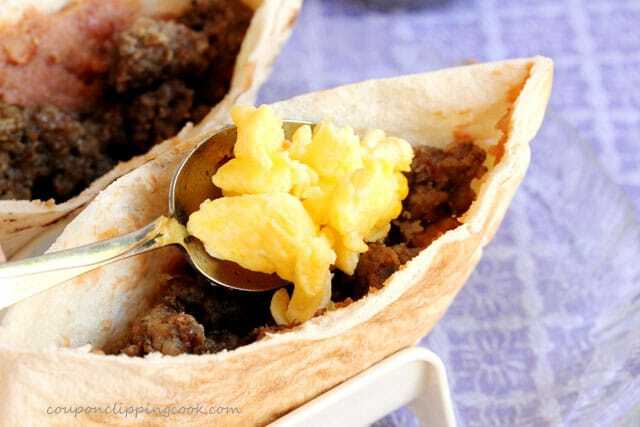 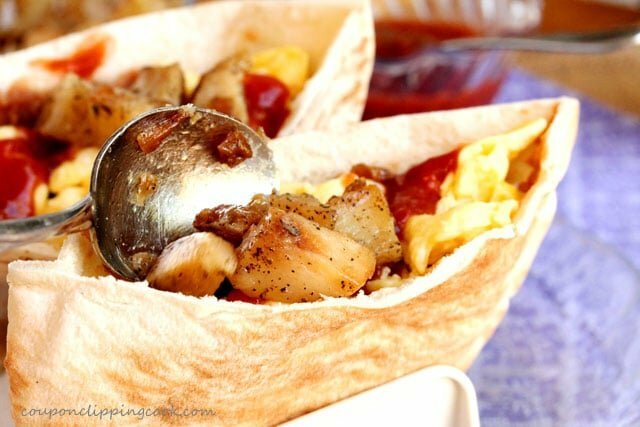 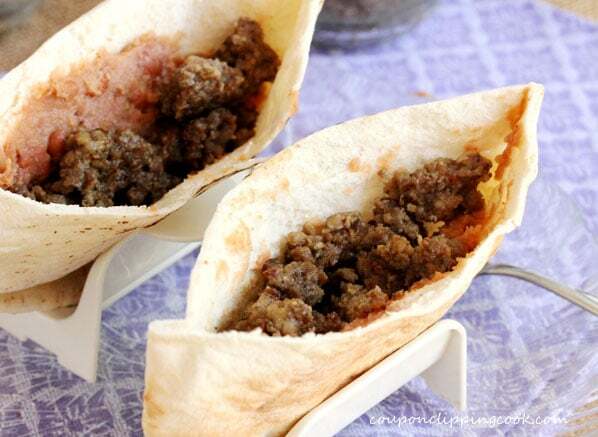 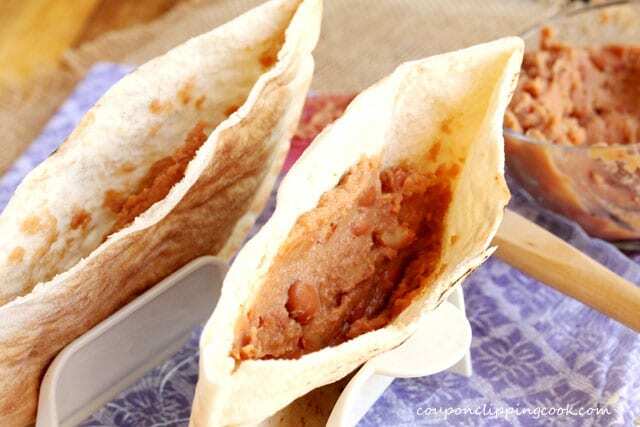 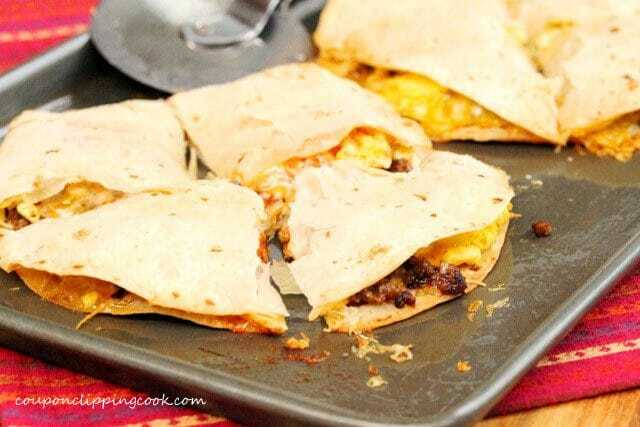 After a short warm up in the oven, these breakfast burrito pitas are ready to serve. 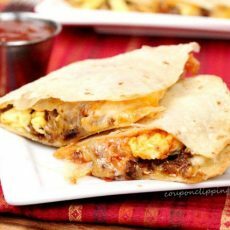 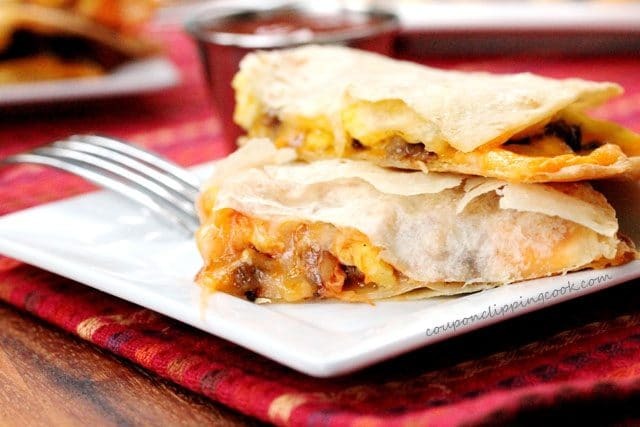 Next on the menu, a Crispy Breakfast Quesadilla made with some of the same wonderful ingredients as the burrito pitas. 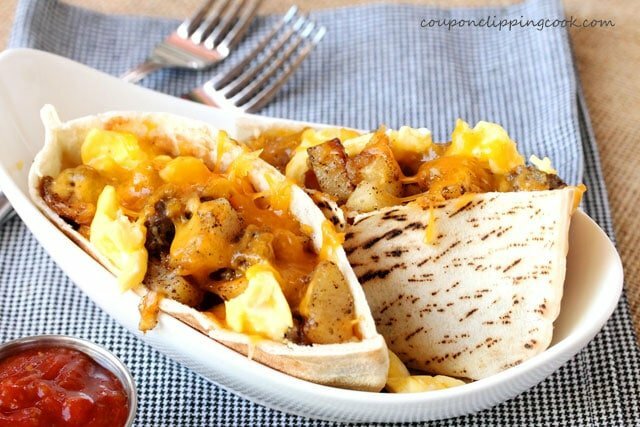 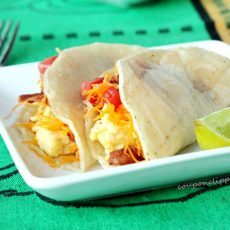 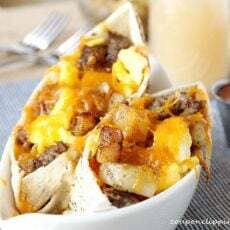 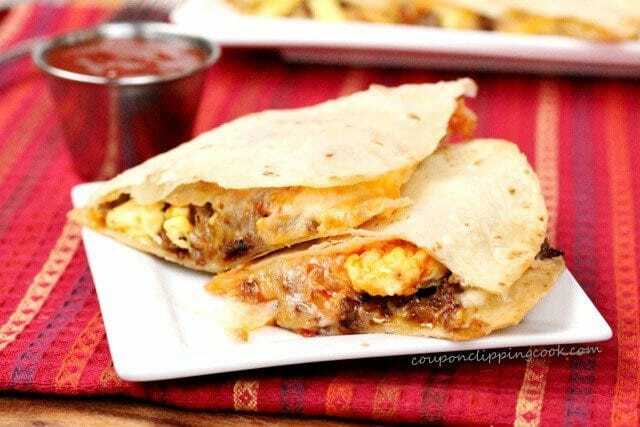 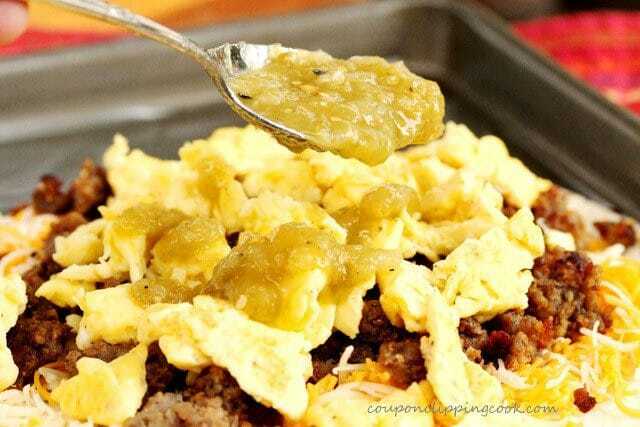 A flour tortilla is topped with cheese, sage breakfast sausage, fluffy scrambled eggs, and green or red salsa. 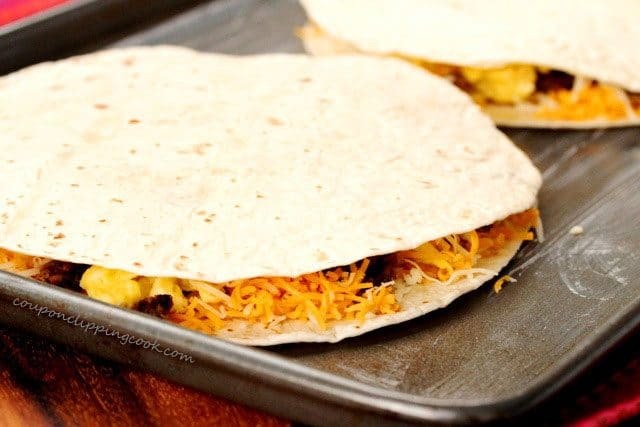 Then more cheese is added and topped with another flour tortilla. 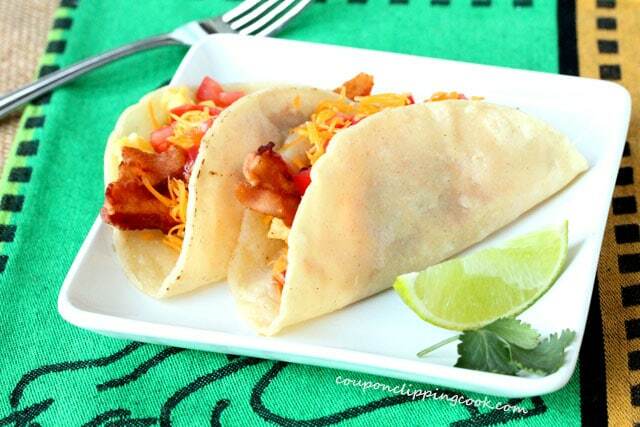 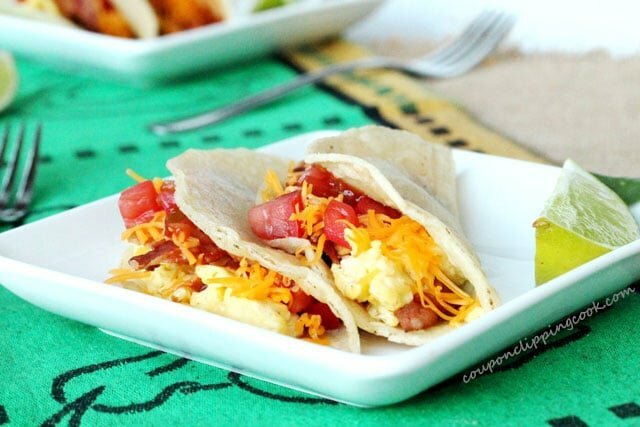 We’ve seen a breakfast burrito and quesadilla, now it’s time for a bacon and egg soft taco. 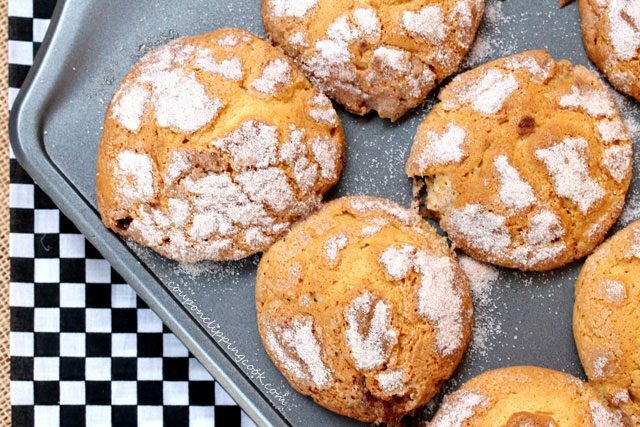 These are so good, you can’t eat just one. 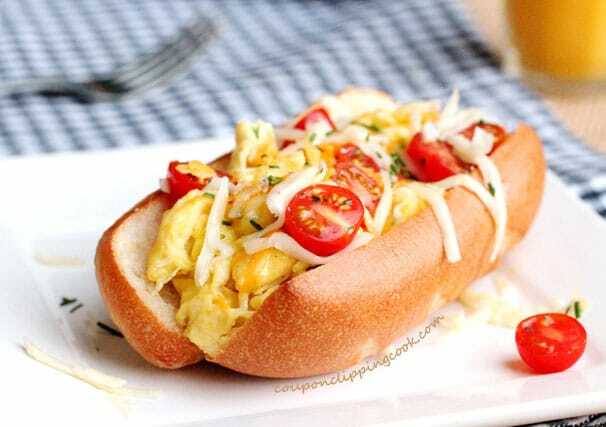 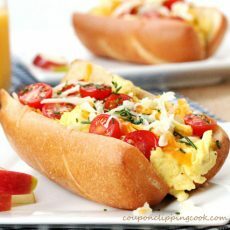 Here’s a breakfast sandwich without meat, just light and fluffy scrambled eggs, 2 kinds of cheese and cherry tomatoes on a french bread roll seasoned with butter and a hint of garlic. 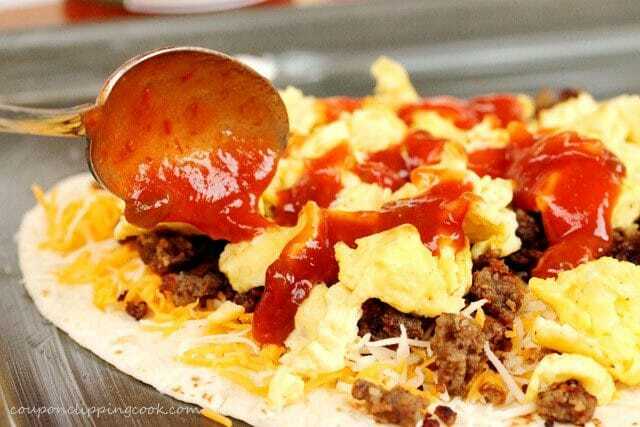 It tastes sooo good. 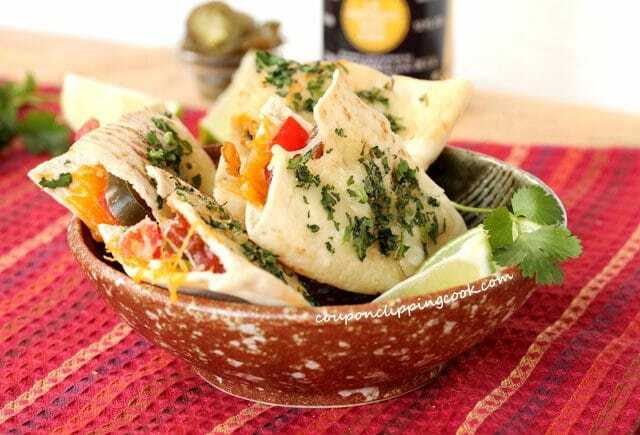 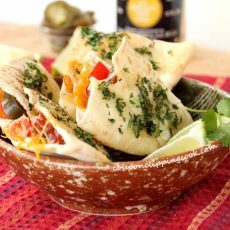 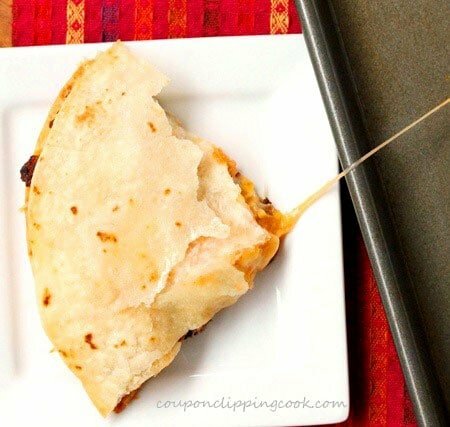 Last but not least, these pita quesadillas come with cheese inside and out, plus a slice of jalapeno to wake up those taste buds.